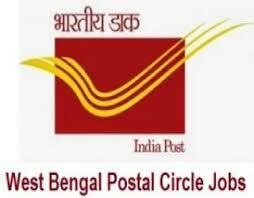 West Bengal Postal Department Recruitment Notification 2018.West Bengal Postal inviting applications for the positions of Multi Tasking Staff.Interested and Eligible candidates can apply for the positions. Candidates those who passed 10th standard can apply. Applicants must have knowledge of west bengal/ andaman & nicobar states. Minimum age for candidates is 18 years. Maximum age for candidates is 25 years. Age relaxation for aspirants is as per department norms. In between Rs.18,000-29,7000/- candidates will be paid as monthly income. Through written examination contenders are going to be recruited. Through online mode candidates can submit their complete details for WB Postal Recruitment 2018.
http://cpmgwbrecruit.in/recmtssep18 is the link for contenders to apply directly.